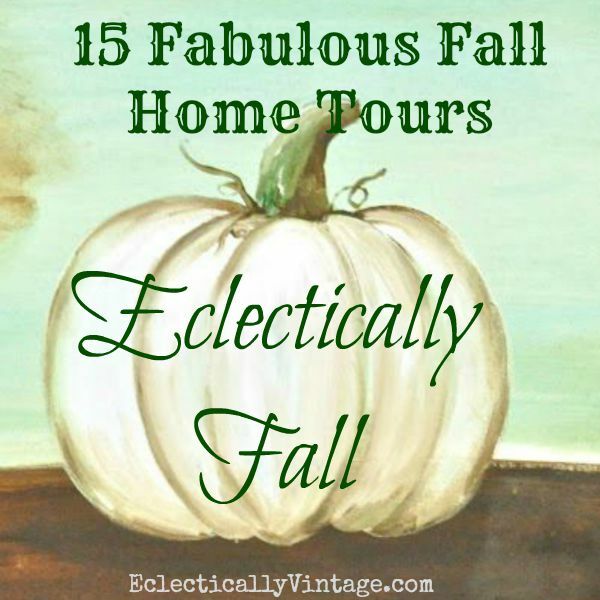 Kicking off my annual Eclectically Fall Home Tour with my home decked out for fall and sharing 15 other fabulous fall home tours filled with tons of creative fall decorating ideas. 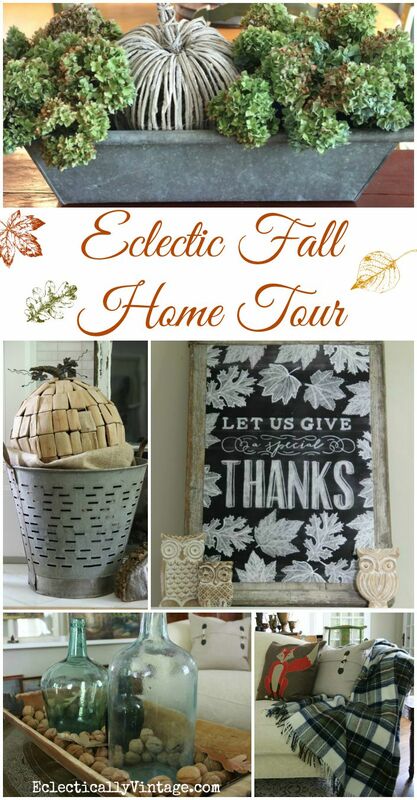 It’s pumpkin spice latte, jeans and boots wearing, pumpkin pie eating and Eclectically Fall Home Tour time! Three homes decked out for fall every day this week. Enough chit chat, come on in and take my tour (source list at end of post). I searched high and low for real pumpkins but no luck. 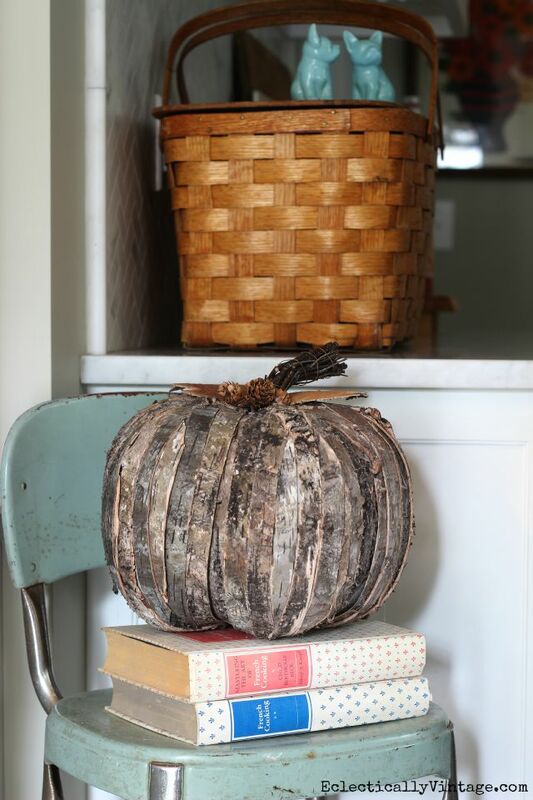 These driftwood pumpkins make up for it for now. 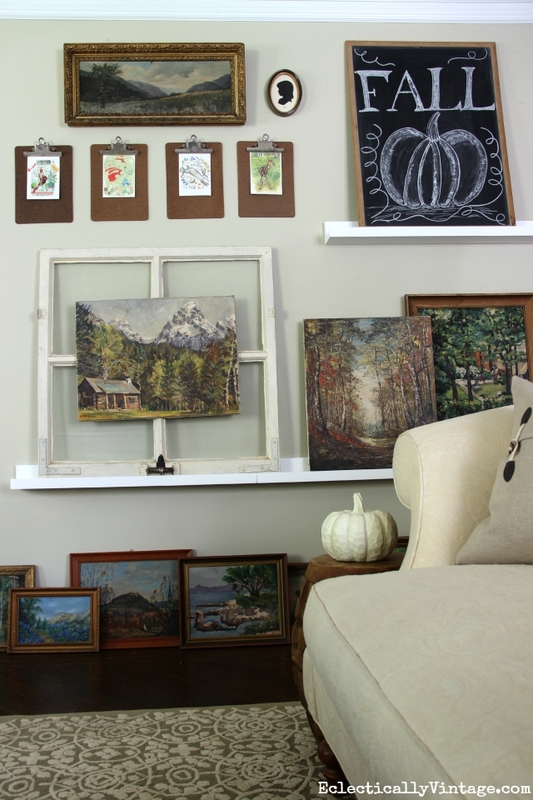 I love changing out my gallery wall and fall means breaking out my vintage landscapes. The clipboard art are greeting cards from Trader Joe’s. 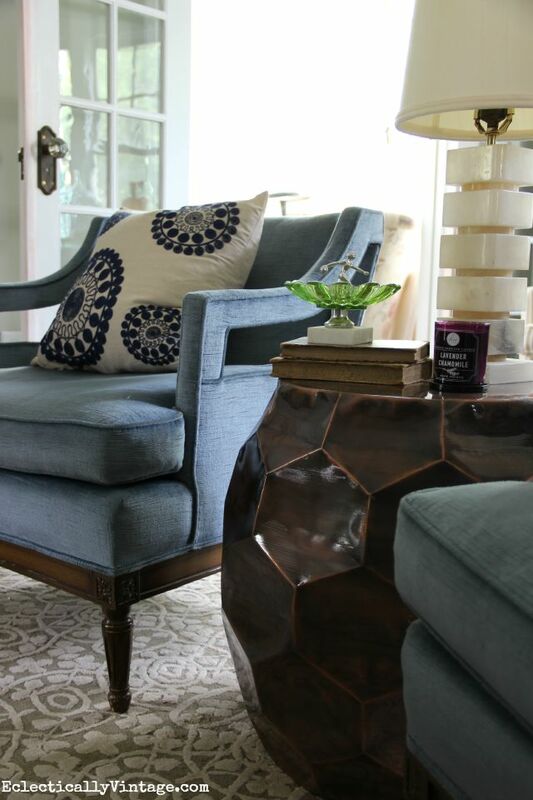 The accent table is new – I love the warm bronze color. 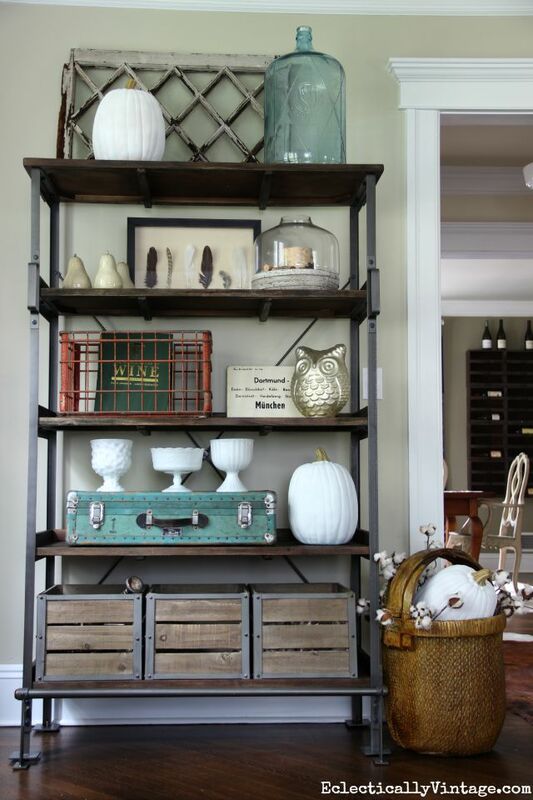 I love my industrial open shelving that is perfect for display. 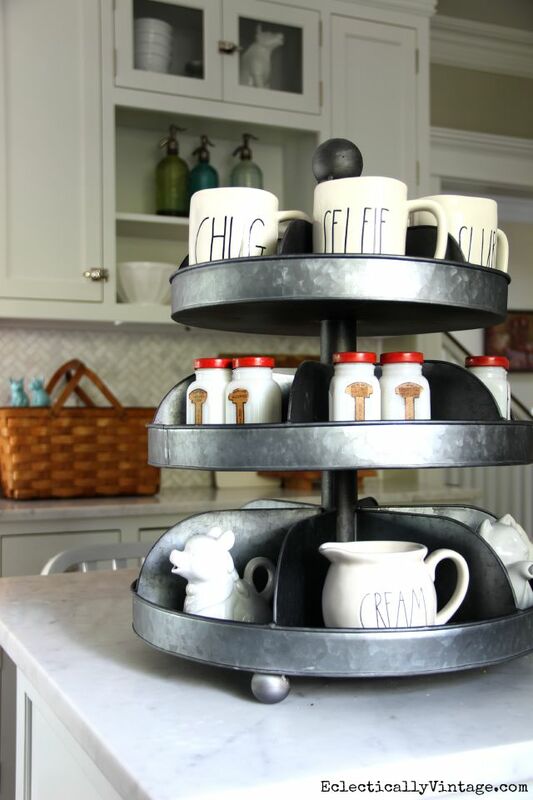 This is my absolute favorite metal tiered tray and it’s perfect for displaying favorite kitchen essentials. Confession: my kids begged me for a piece of pie but I wouldn’t let them have any until I took these pics – then we devoured it! 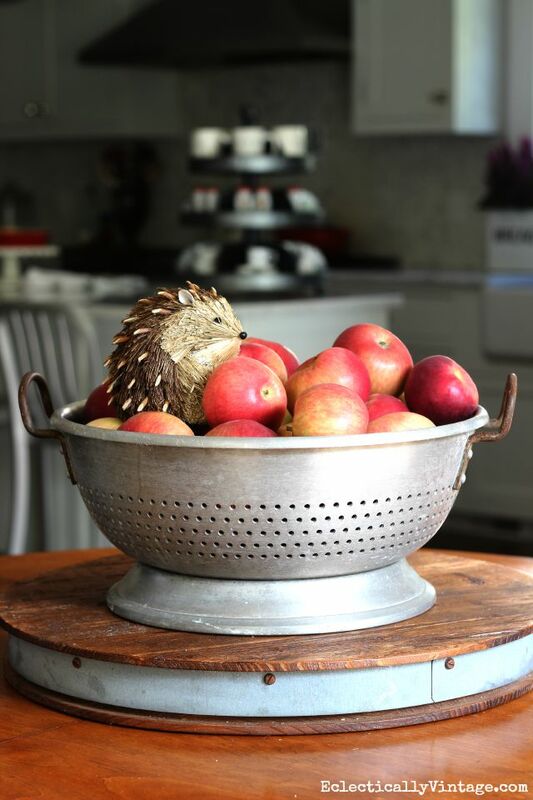 Fill a bowl with apples and stick a cute critter in for an easy centerpiece/snack. 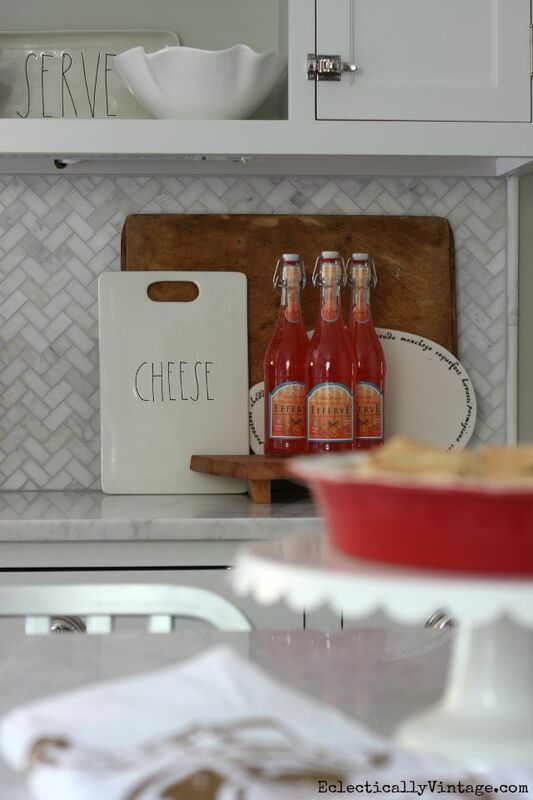 I’m in love with my vintage zinc trough and can think of tons of uses for it. 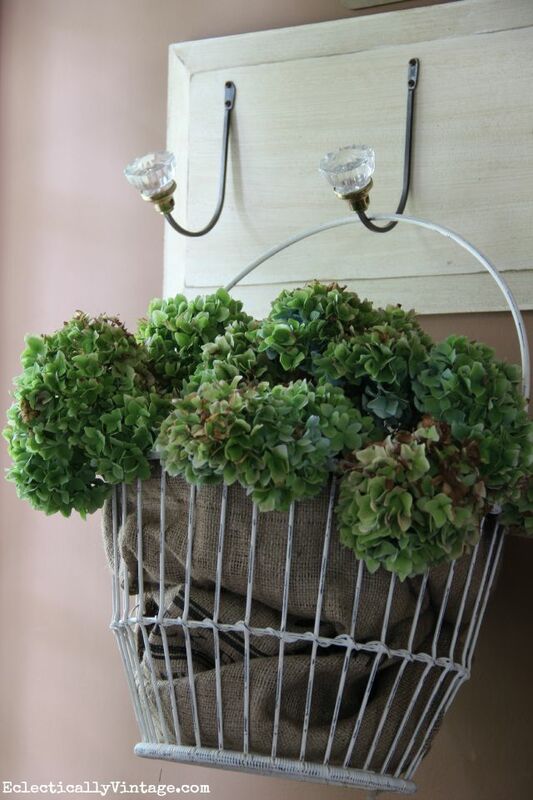 See my easy way to dry hydrangeas so you can enjoy them all year long. Find my favorite flying pig pillow here. I made the “give thanks” watercolor pumpkin printable if you would like one for yourself. 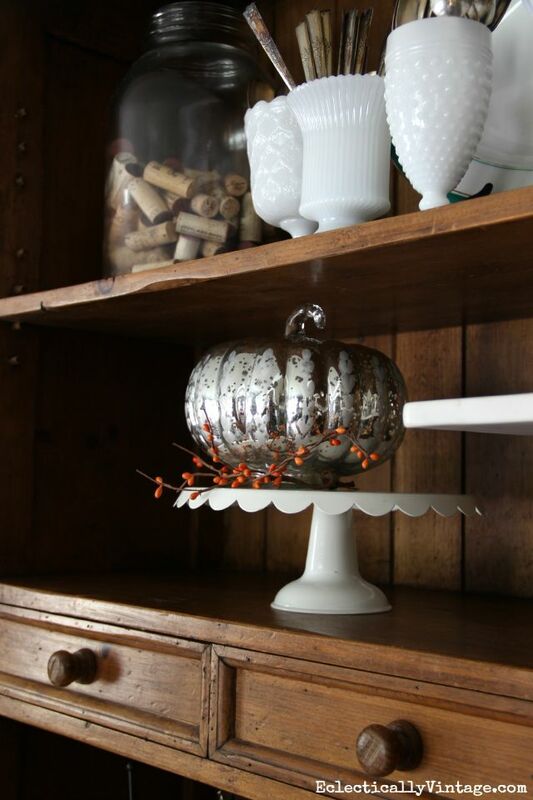 Sometimes, all a centerpiece needs is one huge pumpkin and a few metal leaves that I made for some bling. 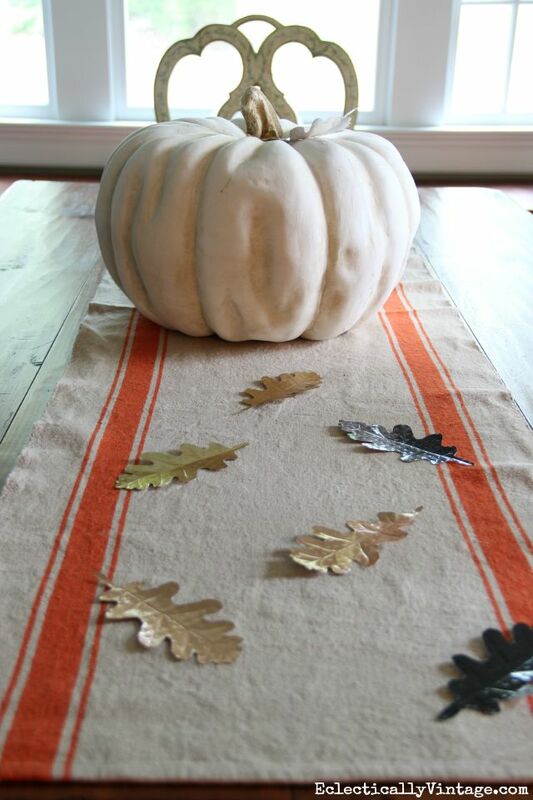 See how to make your own embossed metal leaves here. 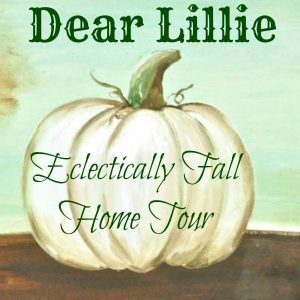 Next stop on the Eclectically Fall home tour train is Dear Lillie who never disappoints! so much to see and love!!!! 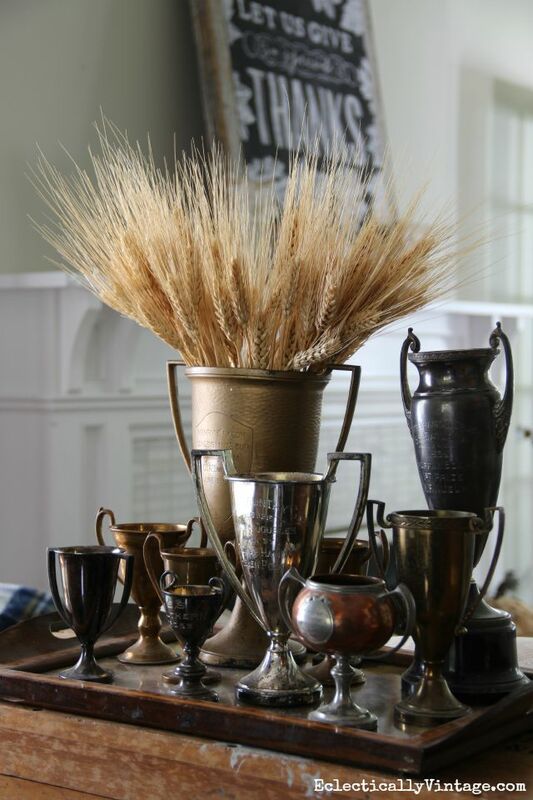 i love all of your collections- the art and trophies stand out in my mind- love the wheat in the trophies! 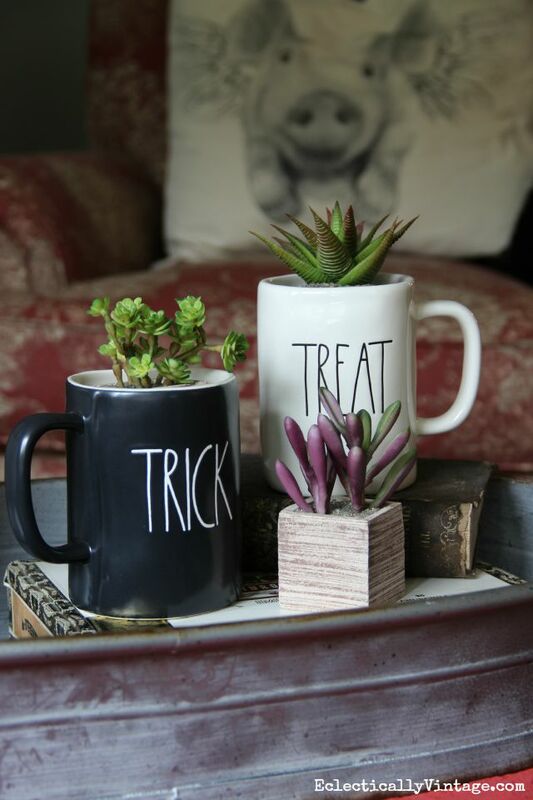 oh and the trick or treat mugs with succulents are a favorite, too! so much awesomeness! i can see why you had a touch time choosing photos! Thanks Cassie! I love those trophies! Can you believe I got the entire collection for $60! Happy fall and can’t wait to see your tour this week! Thanks Martha – I’m smiling since it’s actually clean – hope that lasts! 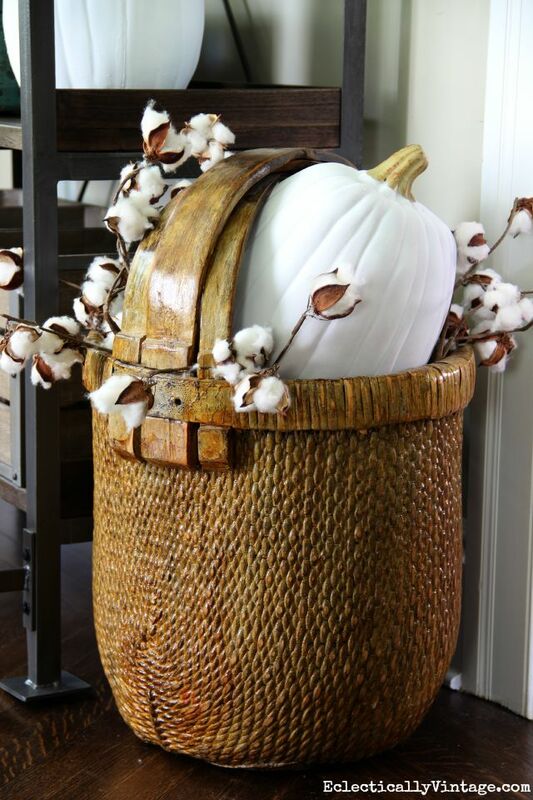 Love, love, love your wood splint pumpkin on that vintage kitchen stool! 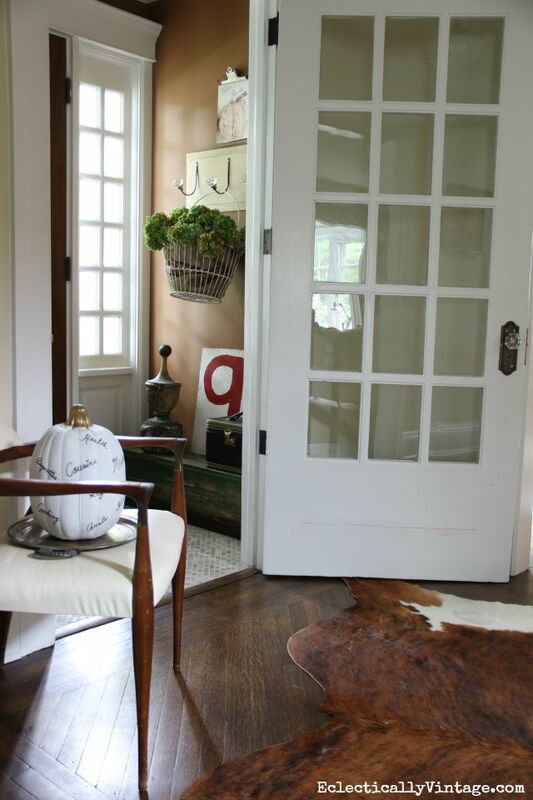 What texture and color – a huge shoutout for old wood! Your whole house looks wonderful! One of my favorite vignettes is the old typewriter with berries around it and the Thanksgiving menu printed out! So clever! Thanks Barbara! 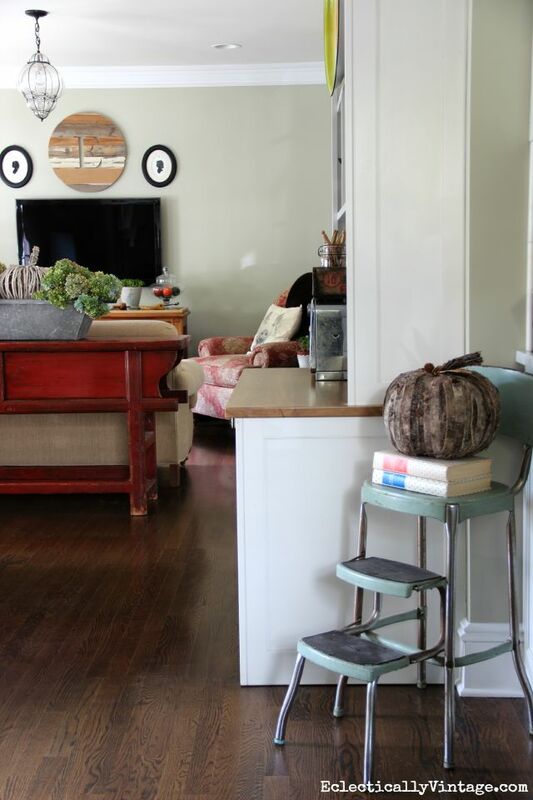 The pumpkin is from HomeGoods – can you believe it! 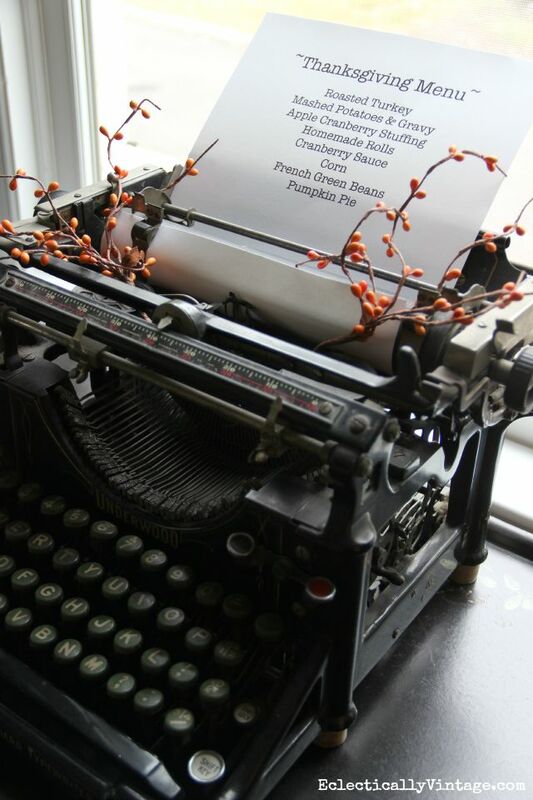 I love using my typewriter for different seasons – I can’t wait for that pumpkin pie! Girl… you never disappoint! 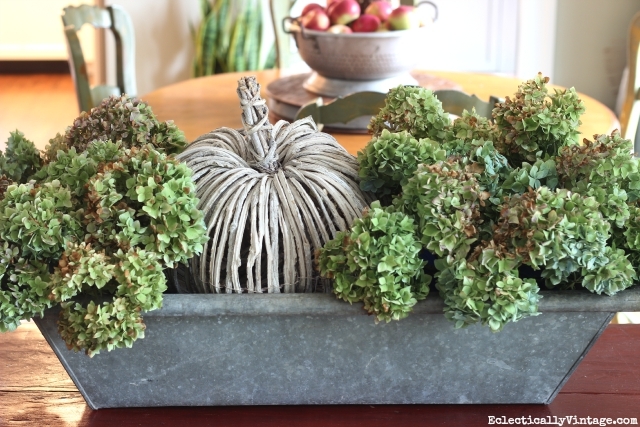 I love all the layered and textural Fall touches… I had to scroll back to make sure I saw everything! Thanks Cynthia! Color/Colour – Tomato/Tomahto !! Charming in every way! Perfect for ushering the fall season. Thanks Nancy – fall is my absolute favorite season! Love it Kelly! Makes me want to put on a sweater and sip spiked hot cider!! Go for it – but you might get some stares on the beach! Gorgeous Kelly! 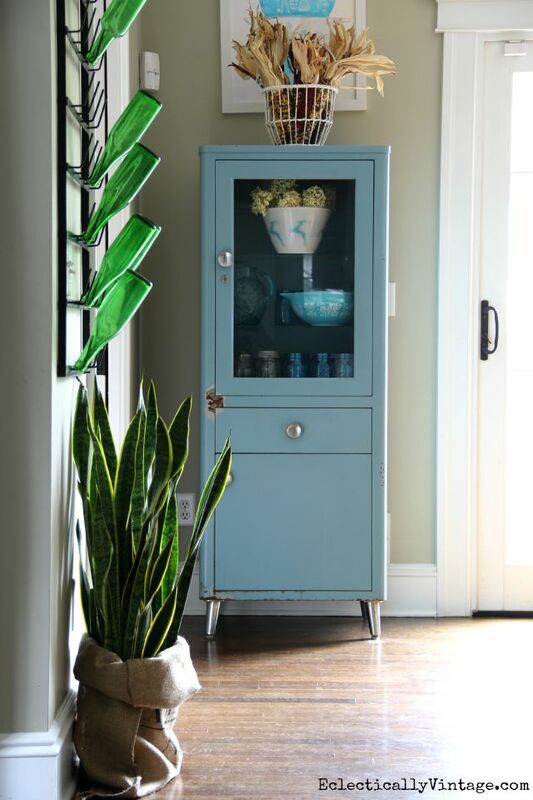 I love your eclectic style! That typewriter is darling! Thanks so much for putting all this together and including me this year! Can’t wait to see what you have up your decorating sleeve Yvonne! Glad you liked the pie Marlene. Would you like seconds? Steal away and I can’t wait to see your house! Everything looks awesome, as usual! I’m going to go along on your tour, as the one I was supposed to go on was cancelled. Hope you don’t mind me tagging along–I’ll bring the hot toddies. Hot toddies – of course you’re welcome! I love everything about it, Kelly…really lovely! 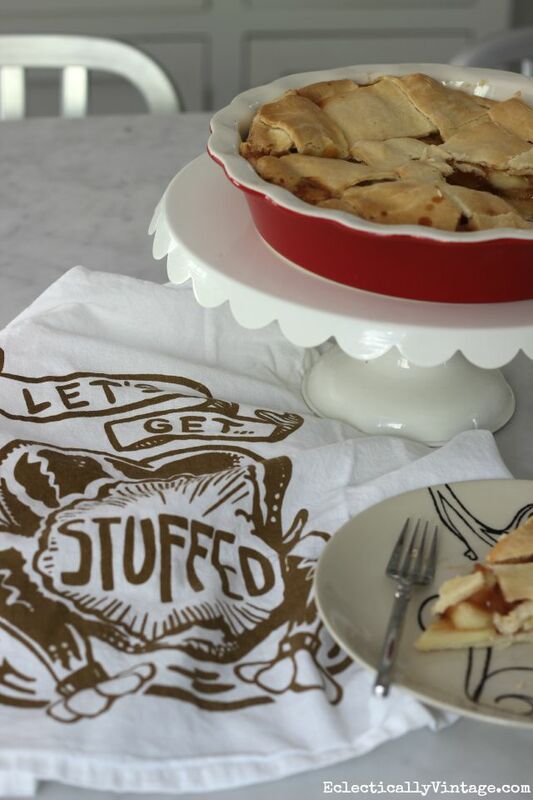 You’ve done it again, girlfriend … a fabulous Fall feast for the eyes! 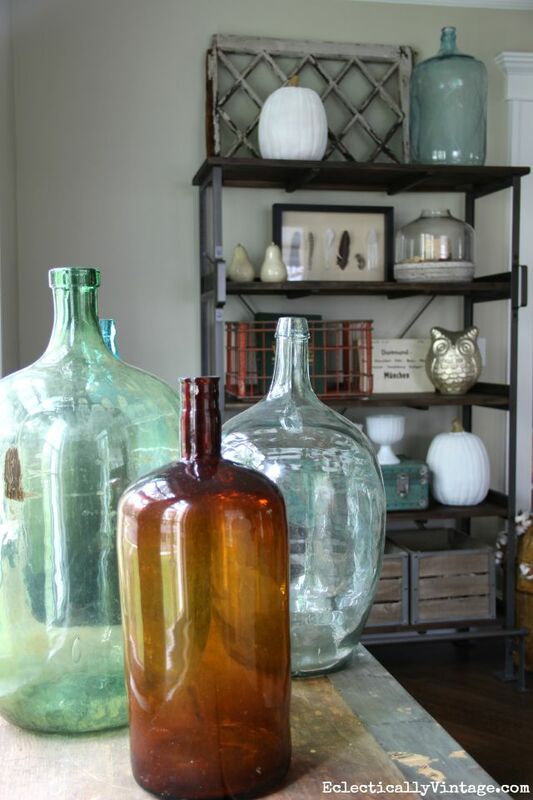 The colors … the whimsy … the collections … the textures … perfect! 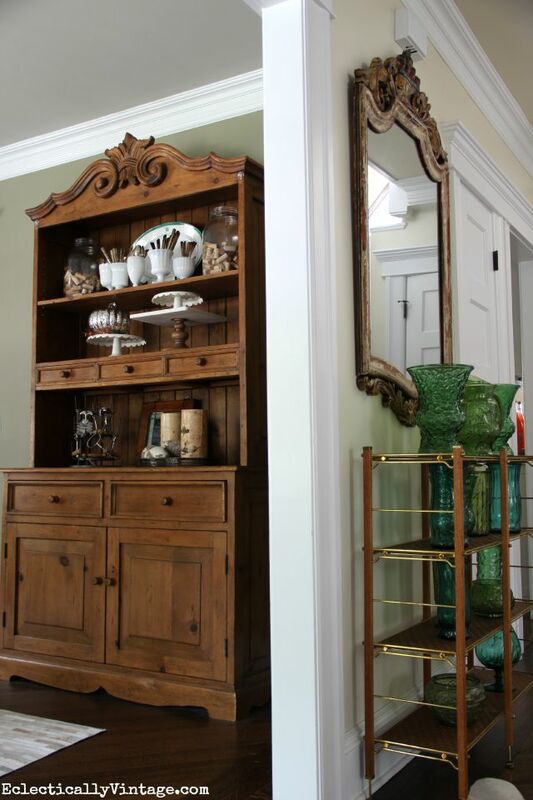 I’m off to tour it again and look forward to seeing the rest of the homes on your tour! Thanks Becca! The only thing missing is you with a bottle of wine! So pretty Kelly! I love all your little Fall touches! Gorgeous Kelly! 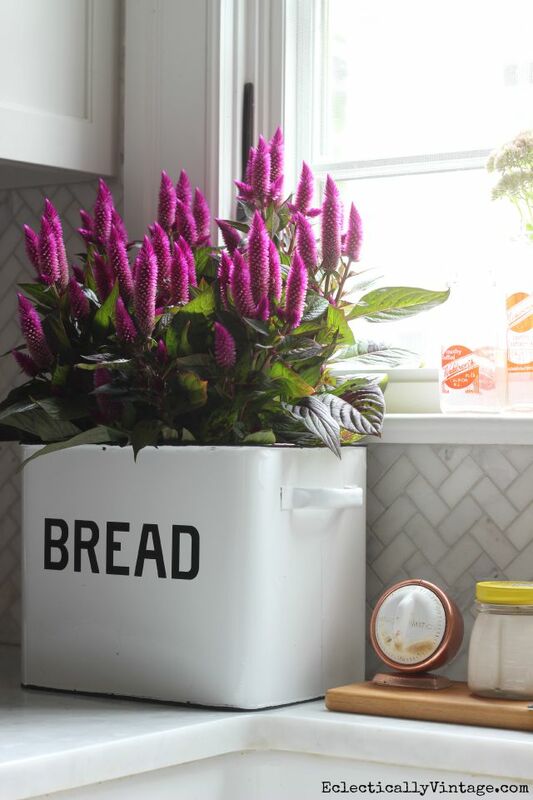 I especially love your kitchen – and your bread box planter is so cute! 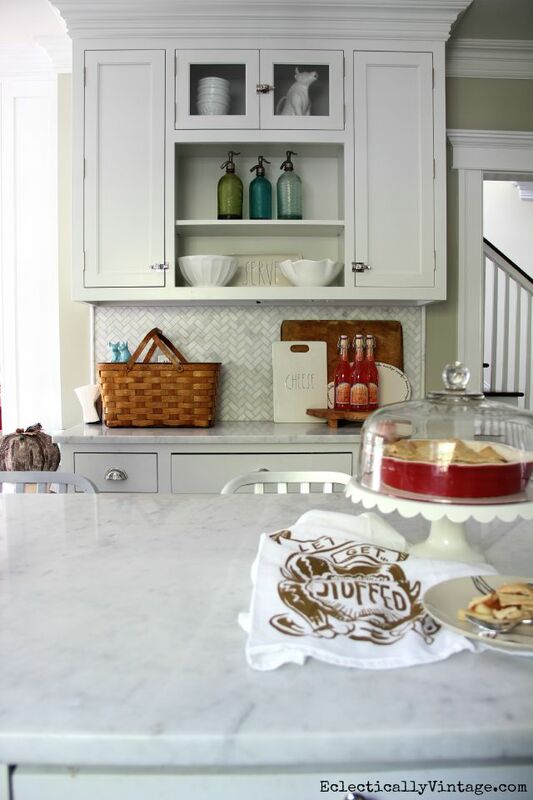 Thanks Jenn – that breadbox is a work horse! Sometimes it holds my dogs treats, sometimes it’s a planter, maybe I should try putting bread in it! 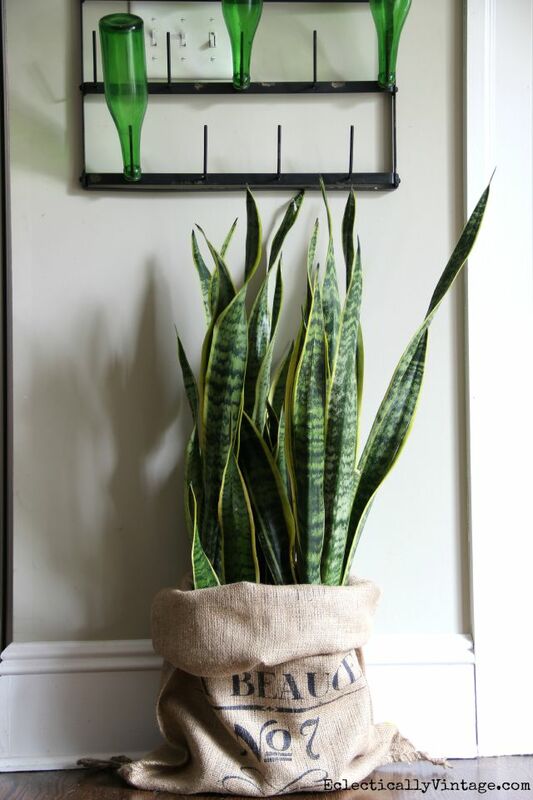 My favorites: the foxy pillow and the burlap sack holding the plant! Love lots of other things as well. Very pretty! 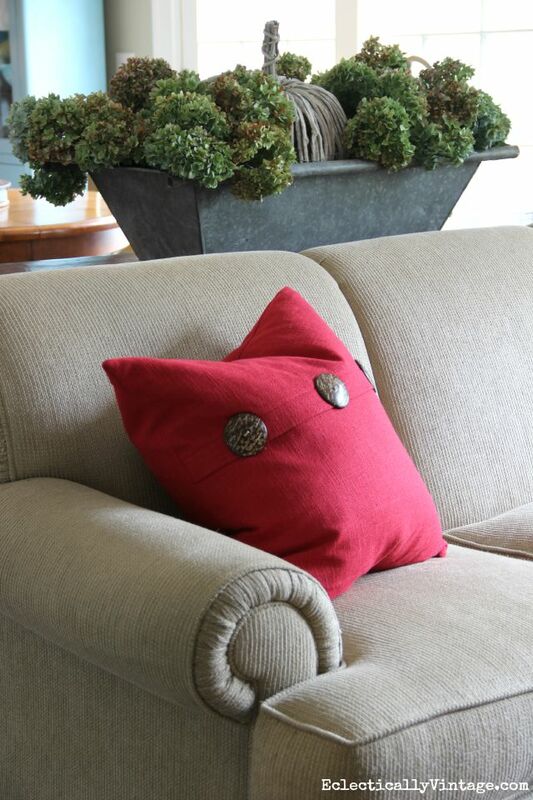 Thanks Marilyn – isn’t that fox pillow the cutest! Happy fall! What a treat to take your tour. Your home leaves us speechless every.single.time! Your taste and design are flawless! Thank you for sharing your Painted Fox treasures. They look right at home. Looking forward to all of the excitement and collaboration that the future holds for Painted Fox and Kelly Elko! Thanks Christine & Jen! 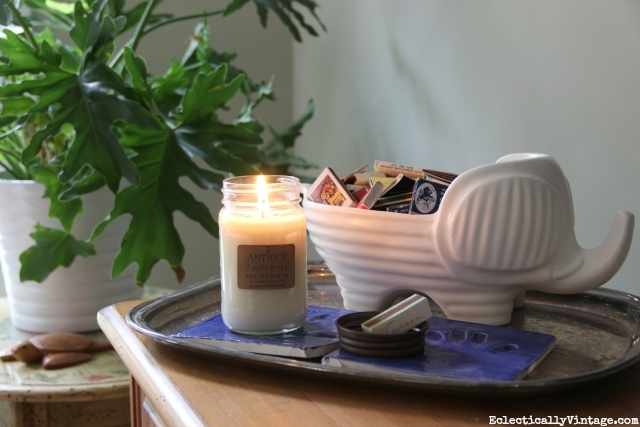 Of course my home is extra cozy with your finds! Here’s to a great future! Thanks Julia! 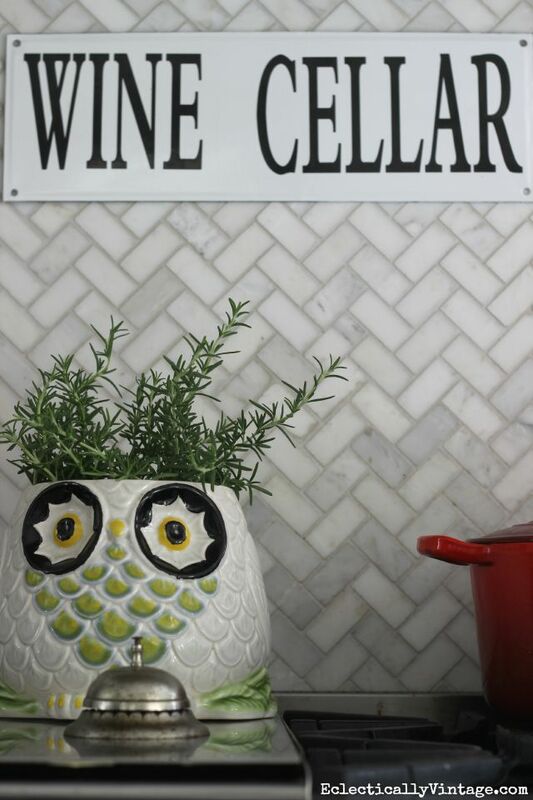 You know I love a good chalkboard! Great seeing you today – enjoy NYC! The lil Hedgehog in the Apples snapped me back though. 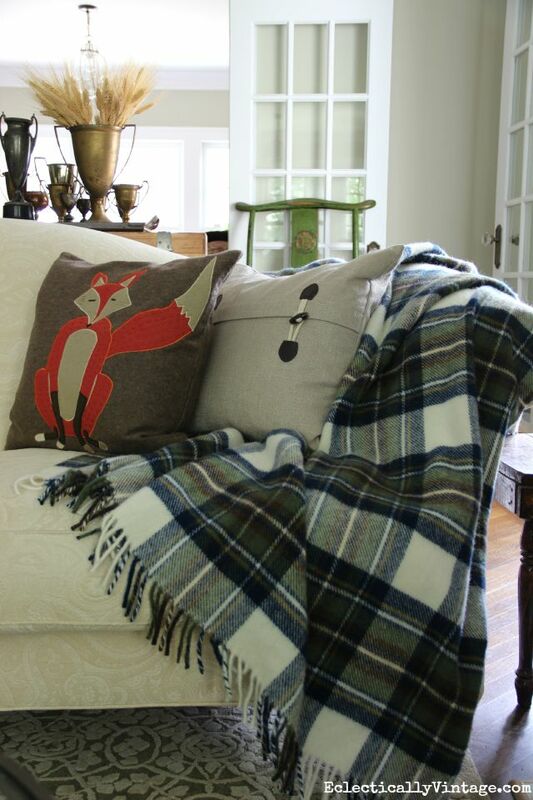 That fox pillow has your name all over it Shannon! Beautiful! Such a welcoming home and the fall decorations are lovely! 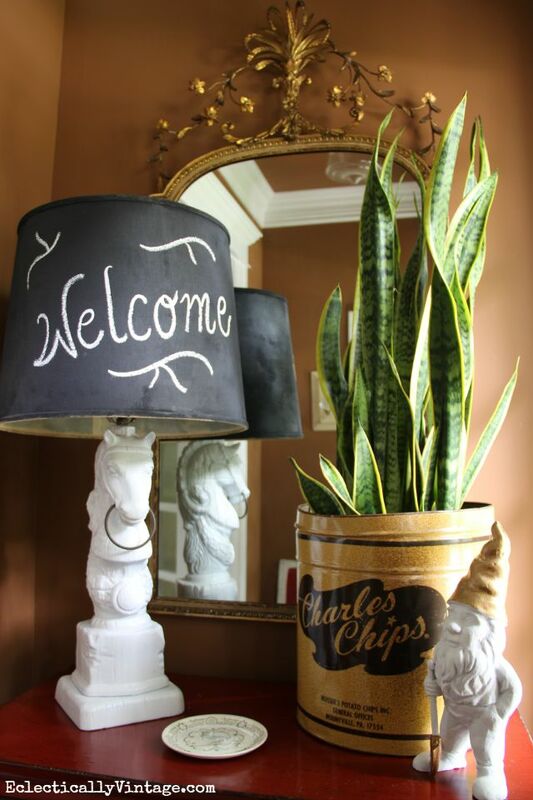 I had to chuckle when I saw the Charles Chips tin. 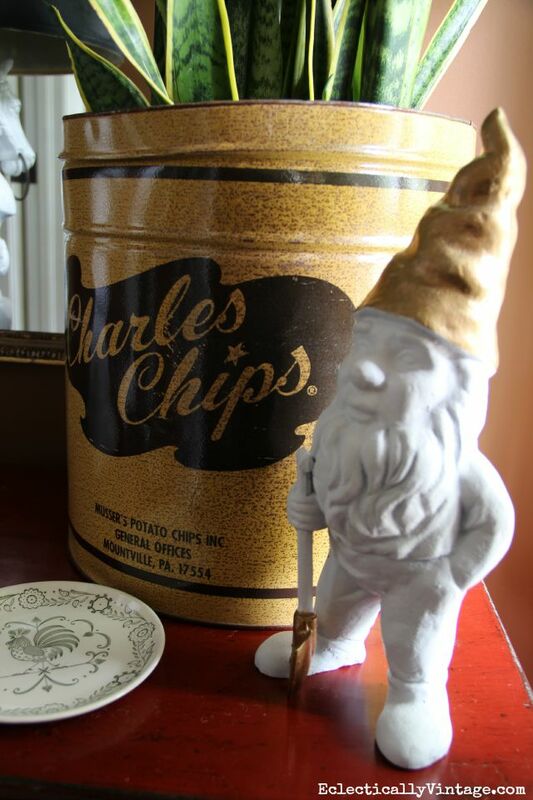 I worked at the University of Kentucky in the late 1970’s early 1980’s and the “Charles Chips man” would make weekly chip delivery sales to us in the Registrar’s office. If memory serves me correctly, we would recycle the tins, bring the old in and get a new one full of chips! When I was a kid, my neighbor had Charles Chips delivered and we all would run over and devour them! Fun memories! What a beautiful place you have. 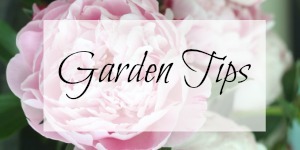 Love looking at all these great idea’s and pretty homes. 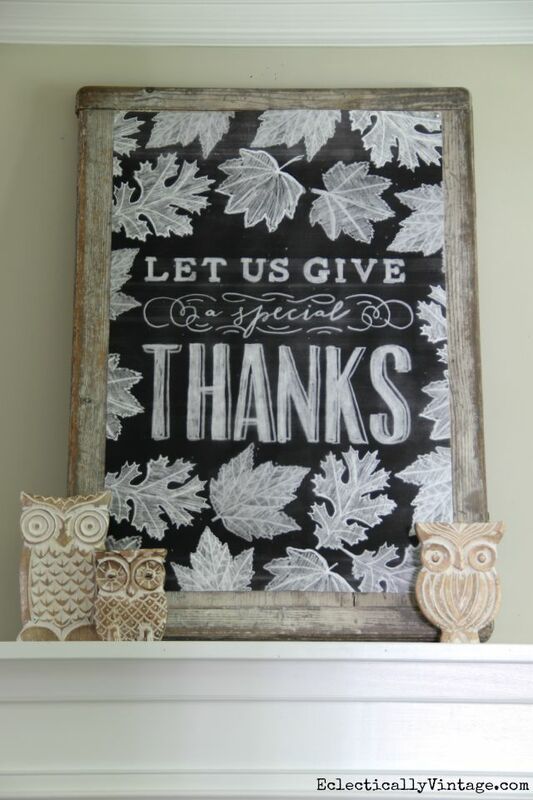 Thanks so much Joy – happy fall! 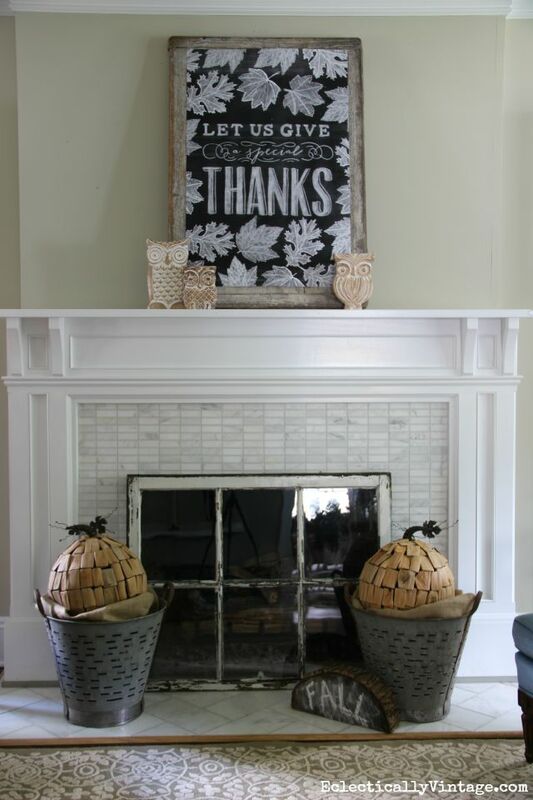 I love your Fall Home Tour! I can’t find Olive buckets at ll,I have looked and loked,,any ideas! Yes Tina! 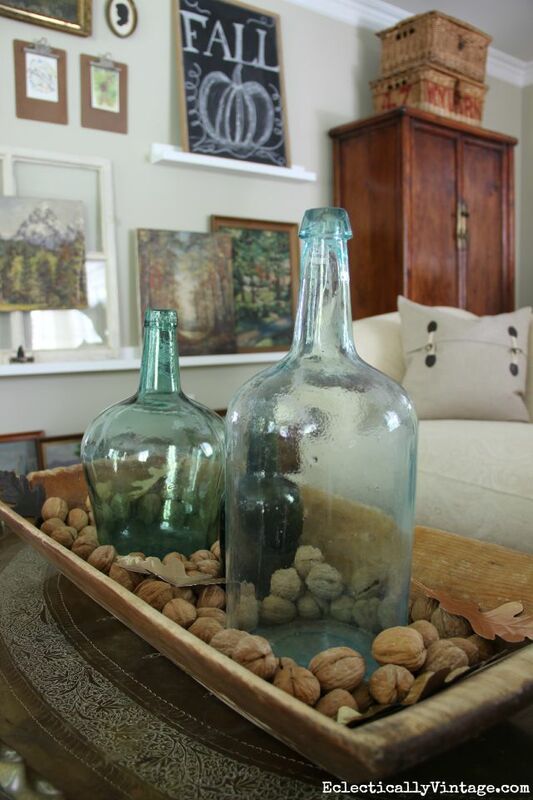 Try bit.ly/1X5lTLJ and search vintage turkish olive bin! 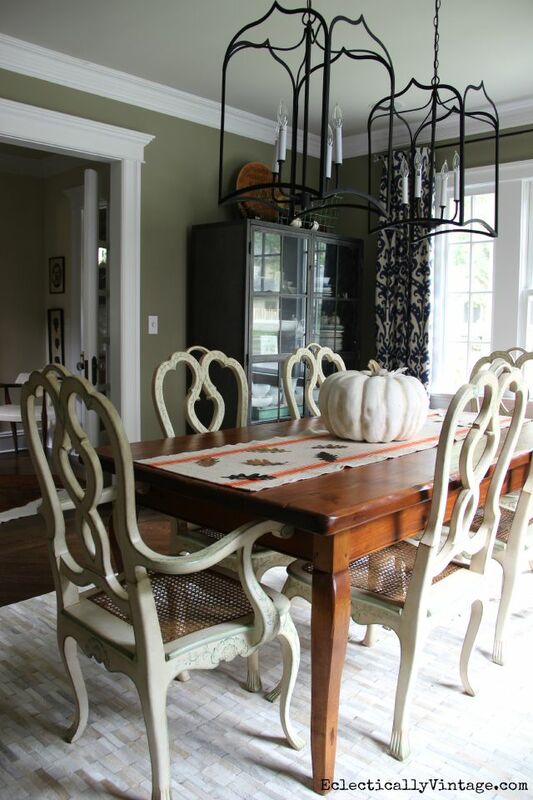 Your home is gorgeous all decked out for fall, Kelly! Love all of the fall touches that you added. Great tour! 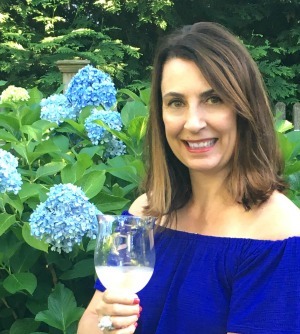 Thanks Suzy – fall is my favorite season! GORGEOUS as always!!! I HEART your style and see you like pigs too!!! 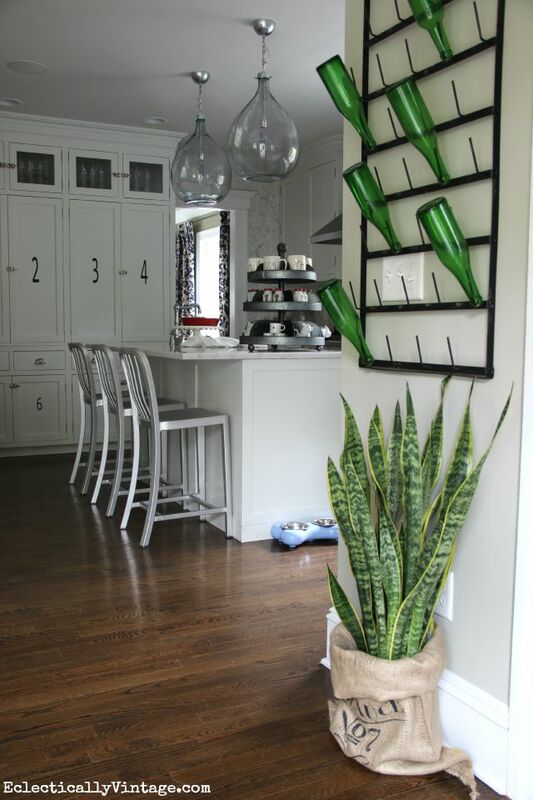 WHERE did you get that GORG and perfect bottle drying rack?!?!? It fits that wall perfectly! Thanks for hosting and I can’t WAIT to see all the other fall home tours!!! I’d LOVE to be on the tour next year!! 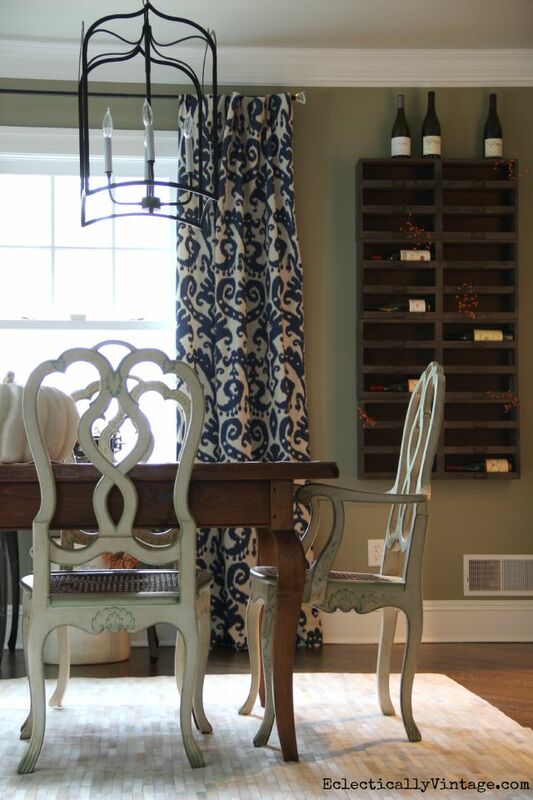 Thanks Janae – the drying rack is from Decor Steals. Hope you enjoy all the tours! I love you Fall home tour! Everything is so pretty! Your home is amazing Kelly! So pretty! All of it, I love all the sweet touches like the animals and pretty flowers throughout. Super cozy and like I said very very pretty!!! Loving all the homes this year!! 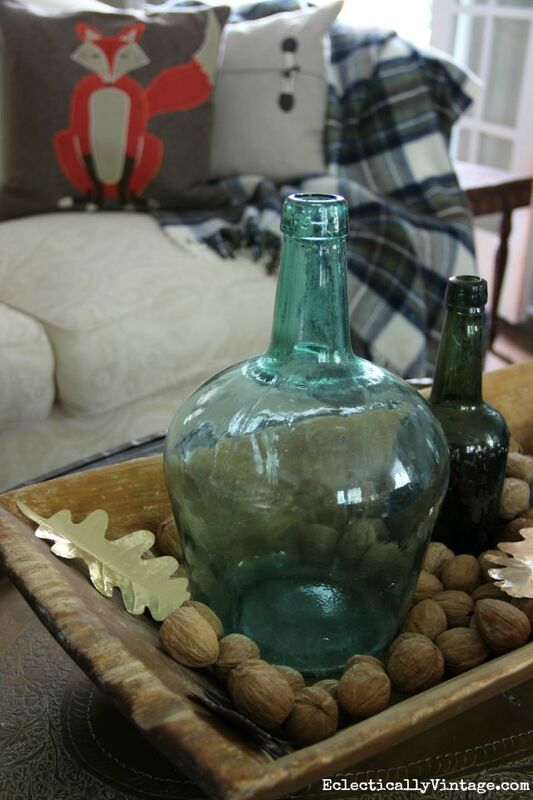 Thanks Laurie – my favorite season to decorate for! 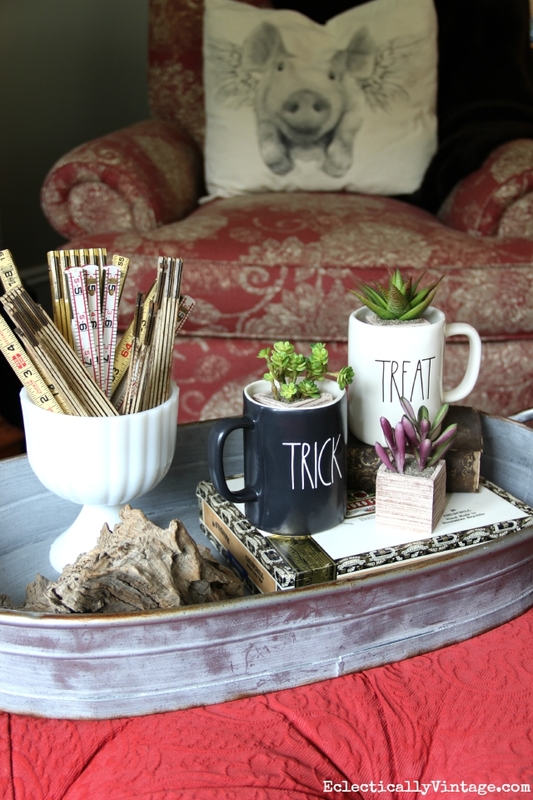 Thanks Alie – happy fall! The squirrel sitting surrounded by walnuts almost broke my brain. Too cute!!!! 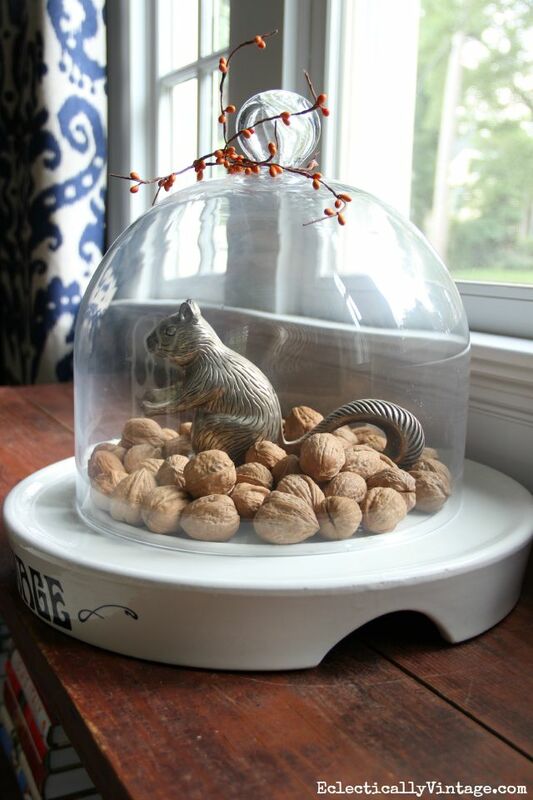 I’m nuts about my vintage squirrel! 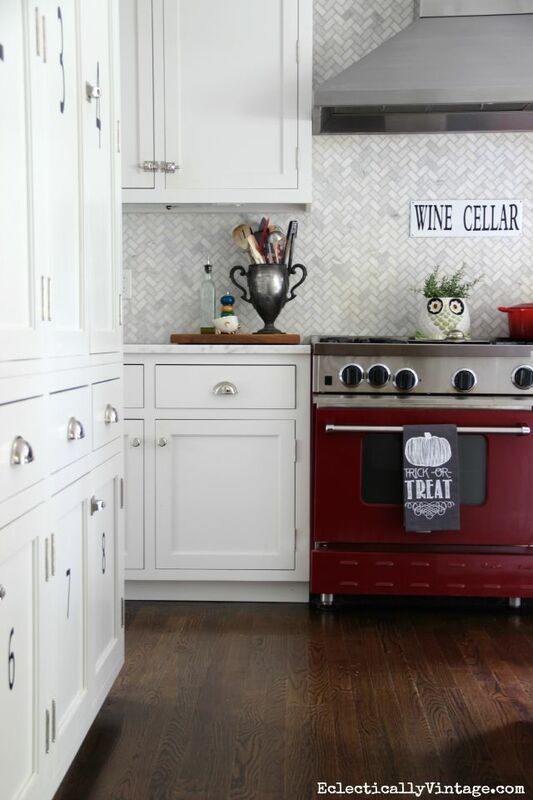 Just ran across your home tour and it’s fabulous! Where did you find that flying pig pillow? I need one…Thanks so much! Absolutely wonderful decor! So warm, inviting and serene. Love all these! 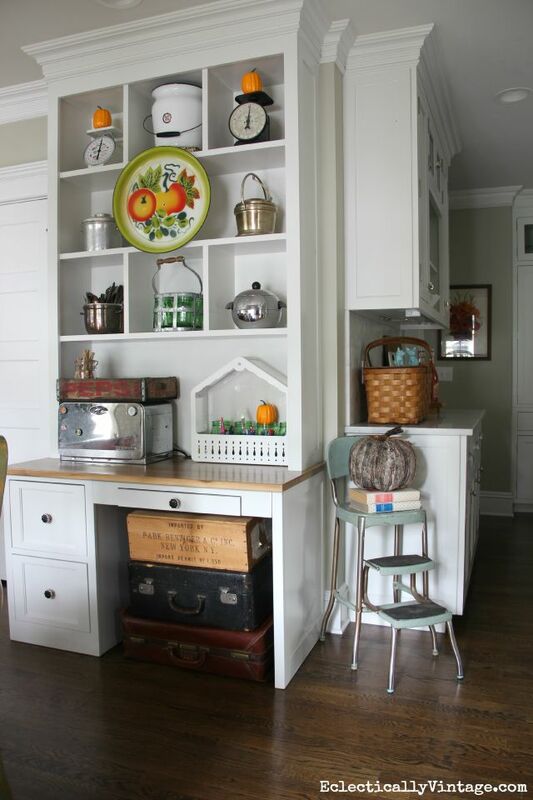 Soo good to see some Color incorporated into farmhouse style along w/original ideas. I’ve subscribed cause I want to see MORE ?? 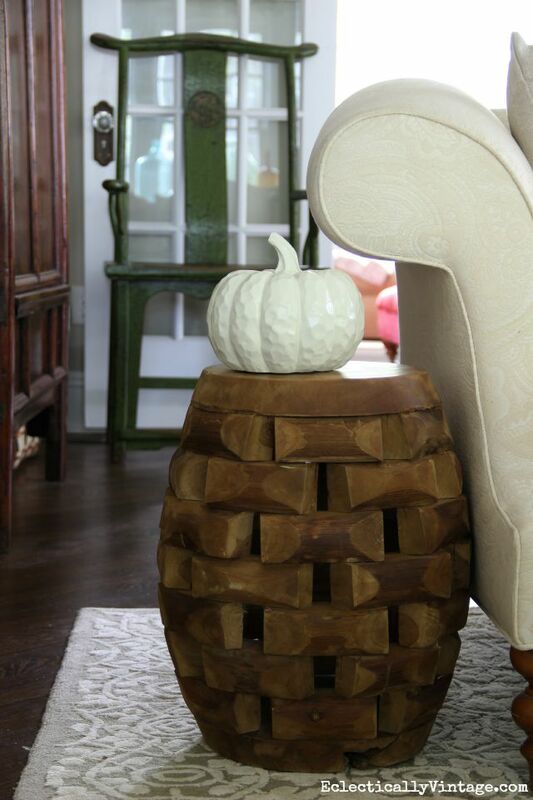 Did you purchase the wood filler pumpkins on the hearth? 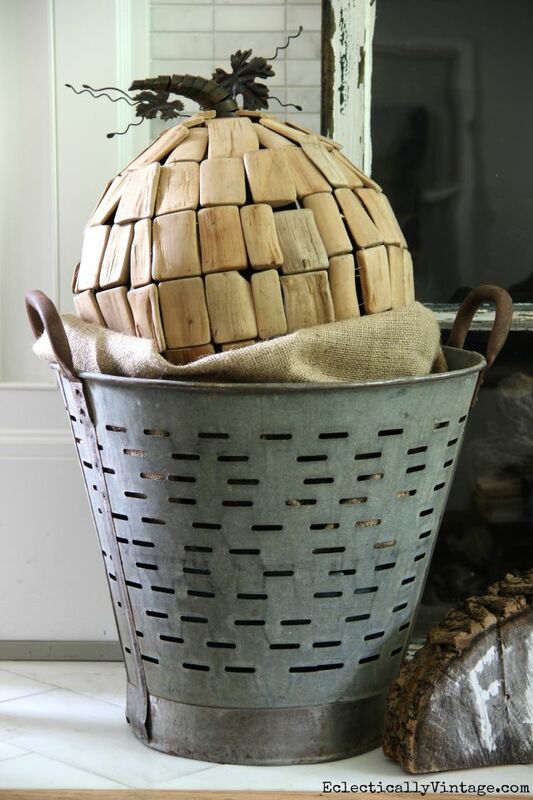 I have that same wood filler and would LOVE to diy them. I bought the driftwood pumpkins at HomeGoods. 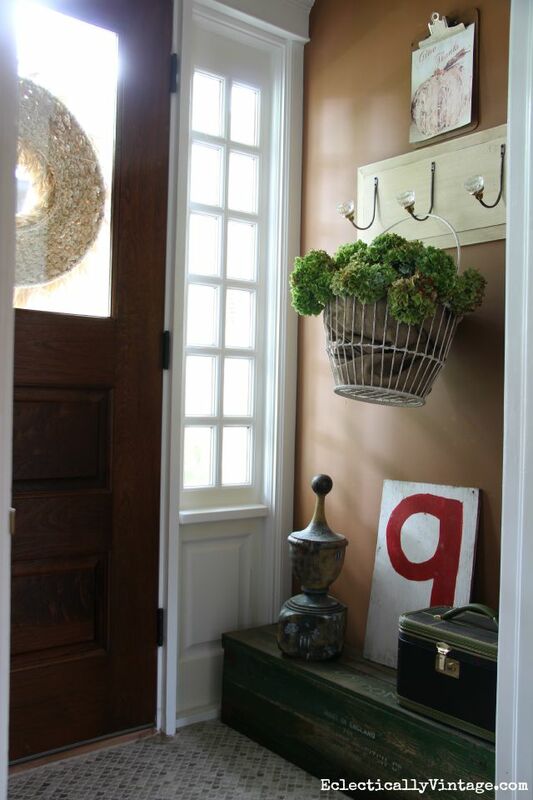 A DIY would be a fun project – good luck!